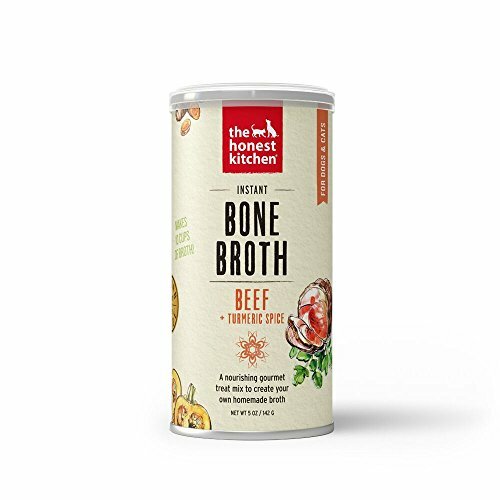 ABOUT BEEF BONE BROTH: Our tasty instant Bone Broth can be mixed with warm water to make a nourishing, and irresistibly mouthwatering drink, that’s got a few health-promoting properties, too. We call it a treat with benefits. ABOUT THE HONEST KITCHEN: The Honest Kitchen started in Lucy Postin’s kitchen in 2002 when she started making her dog’s meals from scratch to help combat his ear infections. The physical difference from his new diet was spectacular but her kitchen was a mess.